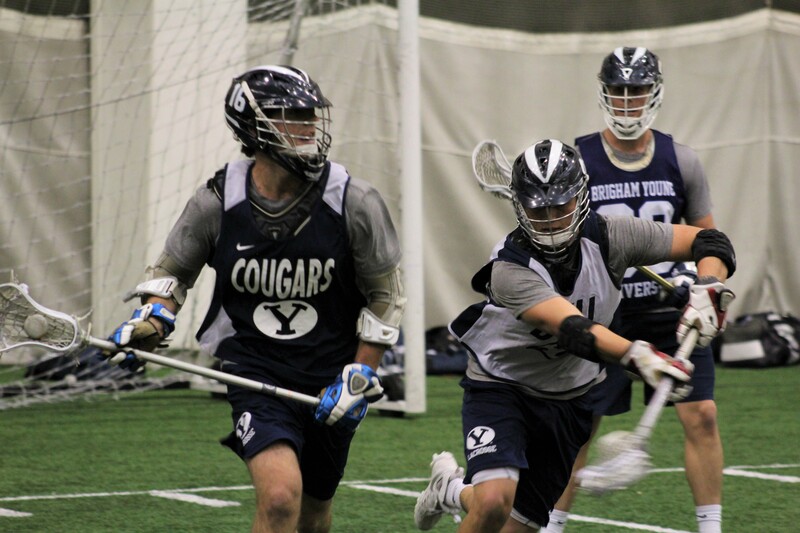 The BYU lacrosse season begins this weekend with the men’s team taking on Westminster Jan. 27 at 7 p.m. The players put time and energy into competing at a high level, and Coach Matt Schneck of the men’s team and Coach Nikki Dabrowski of the women’s team know this better than anyone — they were each once players on their respective teams. Participation in lacrosse on all levels has increased nationally. 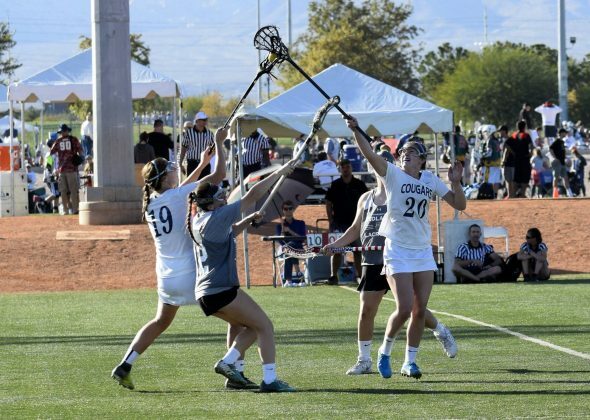 According to the U.S. Lacrosse 2016 Participation Survey, the number of players participating on organized teams has increased by over 225 percent over a 15-year timeframe since U.S. Lacrosse first surveyed national participation. Over 825,000 players were reported as of 2016. 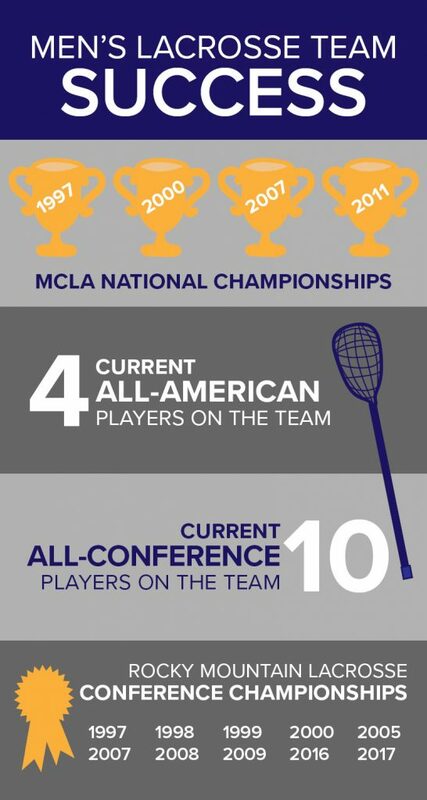 Lacrosse is growing at both the NCAA and club level across U.S. college campuses, according to U.S. Lacrosse. BYU lacrosse programs have been successful in the past and continue to grow and excel at the regional and national levels. Long time assistant coach Matt Schneck became the team’s head coach in 2009. 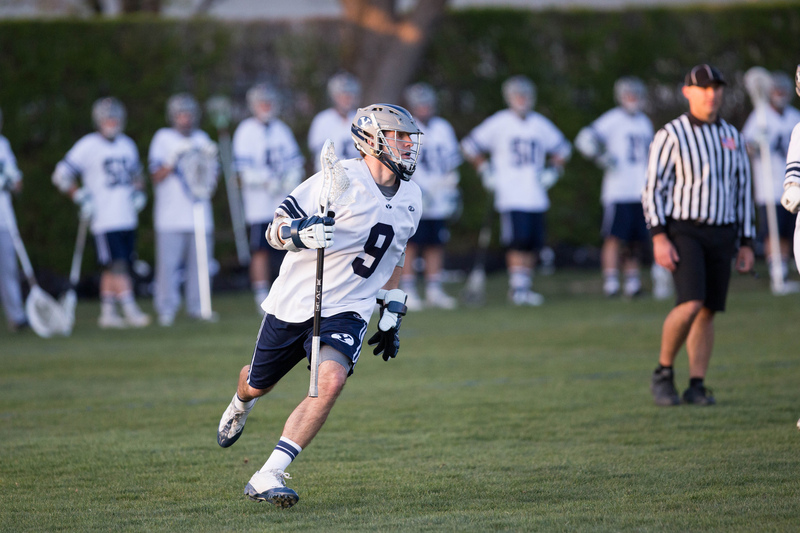 Schneck then became the first person in the Men’s College Lacrosse Association to win a national championship as both a player (in 1997) and as coach upon winning the 2011 championship, according to the team’s website. The team’s history indicates its first season in 1975 accounts for the only losing season on record. 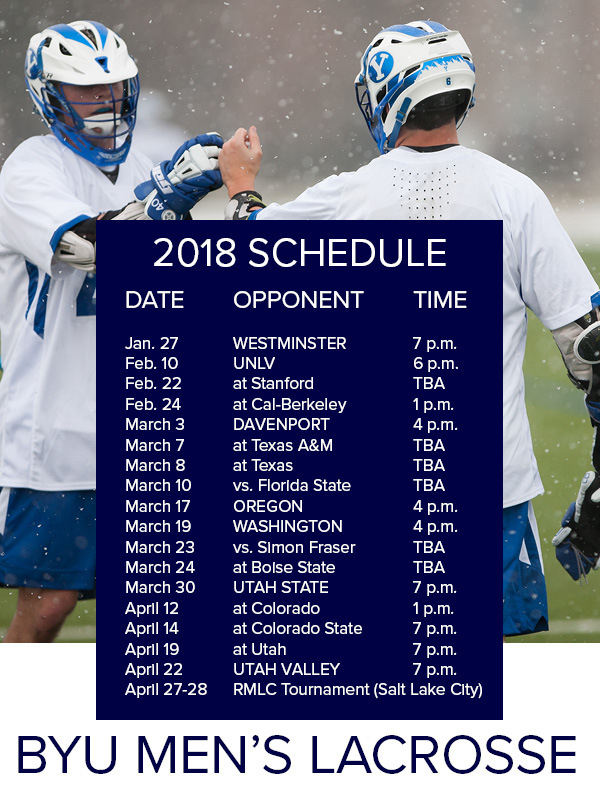 The team currently competes in the Rocky Mountain Lacrosse Conference of the Men’s College Lacrosse Association and has the opportunity to compete against universities all across the country. 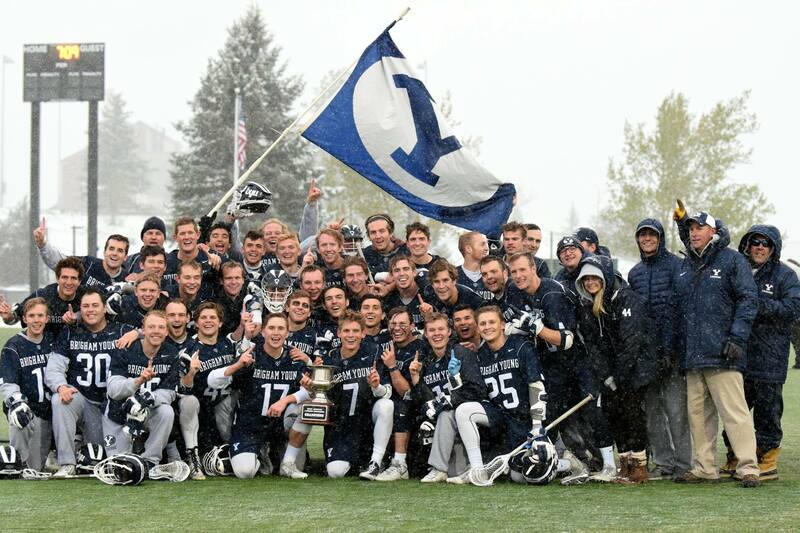 The team has a rich history of competing at a high level and beating top teams. The team has seen much success since its creation, qualifying for the national tournament for the last 20 years in a row. Schneck said this is something that gets tougher and tougher to do each year because the competition around the country keeps getting better. However, Schneck has confidence in his team. “We have a wonderful team of guys that have sacrificed a lot over the years to be able to be a part of this,” Schneck said. 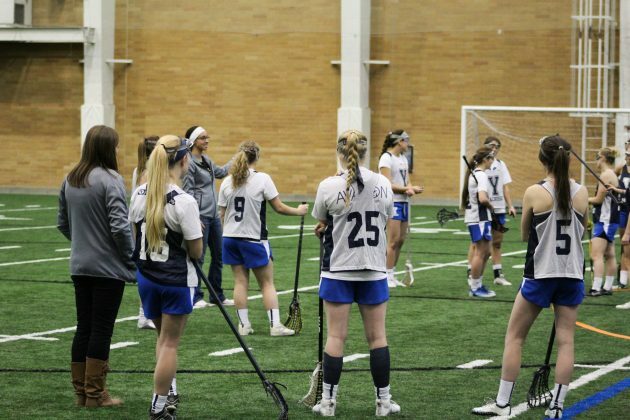 BYU Women’s Lacrosse was established in 1994, but the team didn’t receive any financial support from the university prior to becoming an official extramural sport in Fall 2015. 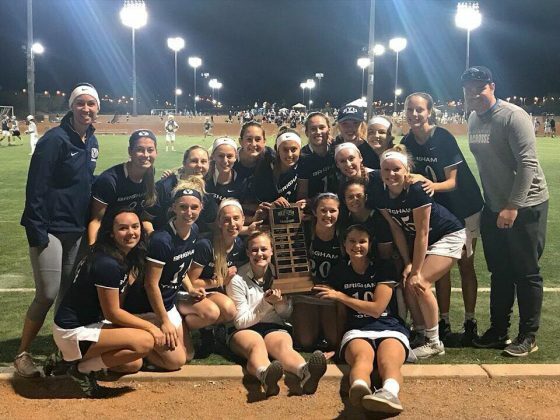 The team previously relied on volunteer coaches and the players had to pay to play, according to the Women’s Lacrosse team website. Nikki Dabrowski played for BYU’s club team from 2012 to 2015. She then assumed the position of head coach upon graduating and the team received extramural status. 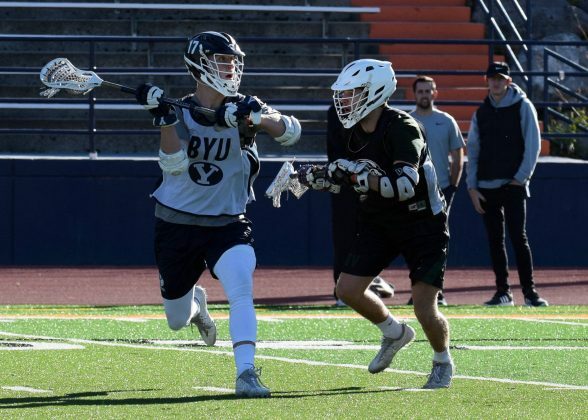 AUDIO: Coach Nikki Dabrowski shares the pros and cons of playing for BYU’s club lacrosse team before it became an official extramural sport. 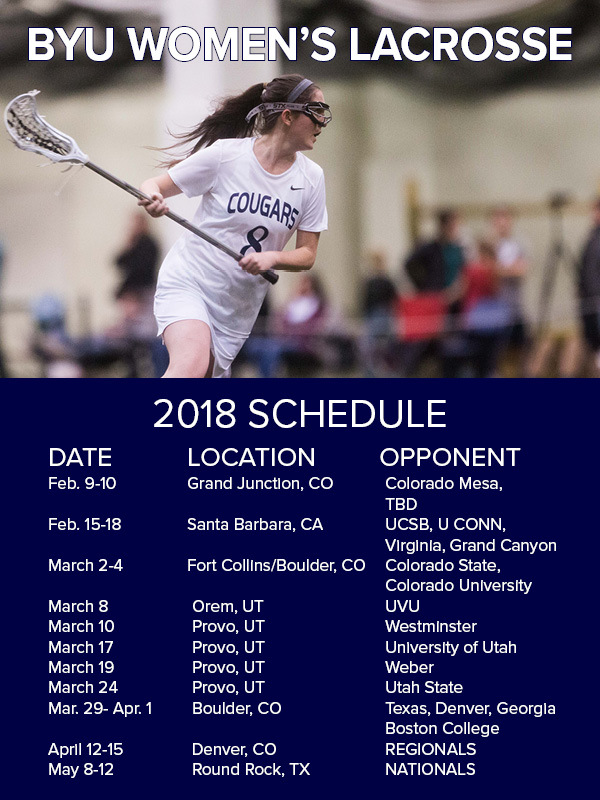 The team currently plays in the Rocky Mountain Women’s Lacrosse League in the Women’s Collegiate Lacrosse Association. Dabrowski said the women’s association is now growing faster than the NCAA. The team has qualified for nationals four times in the last seven years. 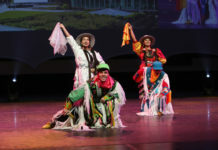 It placed third in 2013 and fifth in 2017. The team is eager for another trip to nationals and currently has two All-American players on the team: Briana Arnold and Heather Haight. The team also averages five to six Academic All-Americans each year. Dabrowski said her favorite aspect of lacrosse at BYU is the atmosphere. The women’s team is going on its third year as an official extramural sport at BYU and Dabrowski is going into her third season coaching. 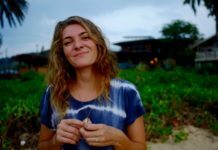 She said she’s been able to establish the culture she wanted for the team and is excited for the upcoming season.